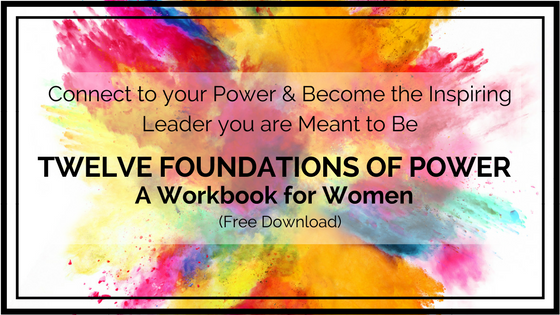 Embodied in Motion programs are for women- and a few good men ;) - who aspire to leadership but are held back by their self-doubt. We help them become the confident leaders they are meant to be. Embodied in Motion programs are one-on-one, personalized programs, with Ruth Naomi Levin, conducted over the phone, video-call or in-person depending on your location. Every program includes guided movement/body-awareness work to ensure your integration of new understandings on the deepest level possible. Leadership - From the Inside Out. What does it mean to lead well? What does it mean to live well? How can we STAY TRUE TO WHO WE ARE and WHAT WE DESIRES MOST while still SERVING & SUPPORTING our families, communities, organizations? These are not easy questions. These are living situations that don't require a single answer but a living response. What if you could feel your own truth, your own answers to these questions deeply, inside yourself? What if you could summon confidence, softness, listening or strength as you needed? If you asked me years ago, what I really wanted, my answer would not have been what I wanted but what I thought YOU wanted me to want. Since that time, my journey, especially in deeply connecting with my own embodied experience through my work as professional dancer, performer, teacher and body-based coach has served to connect me inward in a way that supports me to be in touch with my own deepest desires and needs while still be present and serving those I love and the causes I care about. This experience has taught me the power our embodied experience has to put us deeply in touch with our own sense of strength, direction, purpose and vision. With this strongly in place we can learn to embody the range of qualities and energies we most need to show up powerfully in the world - from receiving to commanding, if we can embody it, we can become it.